Kenya Inspiration : How Much Black In Your Name? I still remember the artwork installed in the middle of the exhibit hall at ExitArt Gallery , part of the exhibition “Negretude” which took place in June 2009 in NYC . The large basin in the middle of the room, contained white sugar, the visitor were asked to interact with the artwork by writing his name with a stick, the name written appears in black due to the black bottom of the basin. The text hanged was giving a glimpse about the history of slavery trade when it was introduced in America due to the sugarcane trade. The simple yet brilliant artwork, aimed to highlight the importance of the black community in the states. The title of the installation: “how much black in your name?”, (like How much sugar in your coffee? 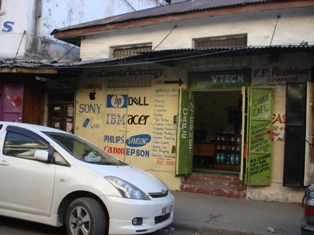 ), was what I kept thinking of while touring the streets of Mombasa, Kenya last week. “From which country? Egypt! Ah so you are from Africa! “You look like us, people won’t take you for a tourist!” confirmed Catherine, the safari company owner, while taking her coffee with me on the terrace of the hotel located downtown, waiting for the company driver to pick me up and hit the Tsavo East Park where I’m supposed to spend the next two days on a safari. Well, this is not for granted, I was easily spotted as a tourist, may be by the way of dressing or the veil style that I wear, but certainly I wasn’t taken for a Kenyan woman. I felt like the foreigner women walking in Cairo streets: spotted, stalked and somehow threatened. But on the other hand, while walking in the crowded streets, being honked away by angry drivers, shacked by the painful ride of the tok-tok on the broken pavements,and trapped in a very polluted traffic, just made me feel like home. “Why they greet you with “salamu Allikom” and I’m not? I’m Arab too” – commented half-angry half-amused my Moroccan companion, while touring the old city of Mombasa. Well, because I’m veiled, so by consequence I’m Muslim, most probably an Arab. I can’t deny I felt secretly flattered. It wasn’t the first time that happens to me, even in Europe. Walking in the street, crossing another veiled woman or a “looked like an Arab” person, head nods, secret smile and a whispered “Salamu Alikom” are exchanged. At these moments, I always feel that I BELONG. I’m not sure to what exactly but may be to this unknown secret community of sisters and brothers, strangers yet united in this vast hostile world. Well it’s not always that optimistic, because being veiled, put you in these situations where you always suffer from all these labels, prejudgments that people attribute to you without approaching you or even saying hello. But let me enjoy the moment! In just 5 min, I saw passing cross our bus, sequentially two buses with big Latin characters written on the front glass. – What is that? Shocked, I asked Simon, the driver – this is a school bus, missionary school?. Of course I knew it’s a school bus, I can see boys wearing blue uniform from the bus window. The shocked feeling was inspired by the fact that it was written explicitly on the bus with big characters, that this is a “Missionary School”. 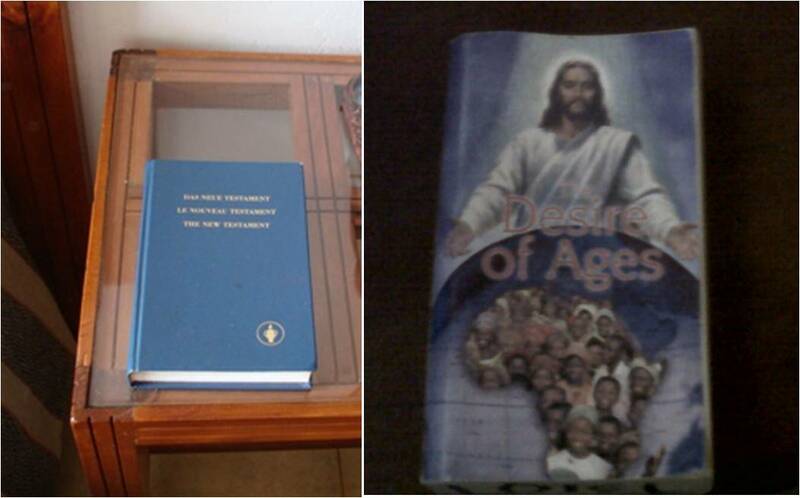 Let me explain, I was in a missionary school myself. I was raised by nuns and it was never mentioned or announced that this kind of schools were “missionary” although this is known worldwide. I discovered it by accident while reading an article in college and by then it was shocking. I felt then uncomfortable and confused to realize that I was targeted by people who had a “religious mission”. Although I have to admit that I owe my nuns all the good values, human approaches and principles that I believe in and apply in my life today. Watching this bus passing by, the shocked feeling vanished gradually to be replaced by appreciation for this country and its culture diversity: so this is a place where you can read verset of Coran on buses or hear it coming out from a small shop in the market and in the same time you send your kid to a “self declared catholic missionary school”, or find the bible on the bedside table in your room in the hotel where you pass the night! Ah Buffaloes! Aren’t they cute! – NO! Sitting in the dark, sipping my hot chocolate, I watched the herds of elephants, giraffes, monkeys and buffaloes drinking and bathing on the pond, less than 10 meters way from the lodge’ terrace. Nature never seemed crowded nor sounded noisiest than this moment. They never forgot that humans captured them, “you know to take their milk “. They never forgot their rancor over humans even after they ran away to the wild life, this is why they will not to hesitate to kill. However, I just love buffaloes, I found them simply hilarious. You pass by a herd of buffaloes; they just freeze in their place, and start to gaze at you almost staring. After a while, humiliated yet amused, you discover that you are locked in the car/ cage and they are free in the jungle, watching you! I just love this sign! It’s one of the most eloquent ones, offering many levels of interpretation I have to say. Mind the gap between your expectation and what real life offers you! Preparing my trip to Kenya, first time in Africa, as someone commented (OMG! Egypt is in Africa people! ), I carried on with me all these images of wildlife, new experiences, and exotic scents that I shall experience. Seriously I don’t know what I was expecting, people jumping out of trees, or a hungry tribe catching me and cooking me for dinner! May be exoticism is simply overrated! The familiarity that I felt since I landed in Mombasa kept haunting me during my short stay. As if I went to visit Mahala governorate or any small town in Delta in Egypt. This feeling was provoked by many scenes that I encountered in Mombasa streets which reminded me other scenes in rural areas back in Egypt. I judged them too “familiar”, too “local”. This reminds me an issue that I’ve been thinking about from a while. Locality! How and why we judge a place as a “rural or local place”. This word gives a certain pejorative connotation in Arabic, especially if it was spoken in English in a certain Arabic discourse. Barefoot workers, mobile marchands, the hand written calligraphy on ads and shops , colors and buildings paints, broken pavements or let me summarize all the above by saying: Poverty! Or maybe something else that I can’t formulate but that I felt! On another level, the strong sense of locality that I felt, was accented when I, a coffee lover, shamefully, didn’t like the Kenyan Coffee! Yep shocking, no? One of the best rated, a good quality coffee in the world?! But not because it tasted bad, it‘s simply because milk added is not pasteurized and it’s not – God forbidden – served in a long cardboard cup! Ah city girl spoiled by too much American coffee from Starbucks and Costa Coffee! Can’t blame anything but Globalization! Too much Globalization shaped my taste, appreciation and the common values that I attribute to different things. For example, sitting in the airport hall in Mombasa, waiting for my flight back gate to be opened, I saw a young lady wearing the same shirt that I got from H&M store in Egypt. I was surprised that I started automatically to guess which social class and level the lady belong to. Totally unrelated! Globalization created these standards according to what we, or I evaluate life experiences.